Sexton’s Lodge is a unique house in the centre of the beautiful Georgian town of Birr. The lodge was originally built c.1830 to house the Sexton of Saint Brendan's Church (Church of Ireland). The house is enhanced by its beautiful setting of Oxmantown Mall and it is a notable element within the tree-lined avenue. On one end of the mall is the entrance gates of the acclaimed Birr Castle and the other, St. Brendan’s Church (Church of Ireland). The house itself has been carefully and tastefully restored to the highest standard. Accommodation includes 3 bedrooms, 3 bathrooms, large open plan living, dining and kitchen opening to a large elegant lounge. There is also a well equipped laundry. It is furnished with both antique and contemporary furniture and a separate courtyard with walled garden completes the picture. This is a great place to use as a base if you if you plan to tour Ireland. It was perfect for our family of five! Everyone loved the comfort of the home. It was also great space to have family and friends over for visiting. Also loved the location for being able to walk to shops and to visit Birr Castle! This is a beautiful property in a great small town. The pictures give you a perfect look at this property. The location in Birr was an ideal central location for our travels all over the southern half of Ireland. The owners were fantastic to work with and very helpful upon our arrival. We traveled over 2000 miles in two weeks but always looked forward to coming home to Birr! There were four of us but the unit could easily handle six. This is a great value and another great VRBO experience! We loved the home. Well suited for our five month stay in Ireland. Well equipped and so comfortable. Close to everything in Town. The Castle down at the end of the mall was a real plus. We visited often for walks and or lunch. Birr provides great access to all locations in Ireland. Wonderful place to stay and do day trips from, or just enjoy the local area, wish we had stayed for two weeks instead of just one. Beautiful home away from home. Thanks again, it was a highlight of our 3 week vacation. Would definitely rent it again. We stayed there for three weeks in May/June of 2012 and it made our holiday. The house is beautifully decorated, extremely cozy and comfortable. We did a lot of our own cooking and the kitchen was fully equipped for all our meals. 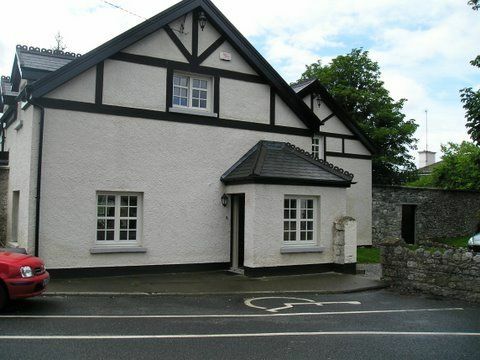 It is within a short walking distance to shops, entertainment, dining, and the Birr Castle. The house is a great location for day trips around ireland whether you have a car or are using the buses/trains. We will definitely use this house again when we return to Ireland. I have already and would highly recommend this holiday home to anyone who is planning a trip to ireland. Love Love Love This Home!! Over the summer, five of my girlfriends and I took a 3 week vacation to Ireland. We could not have picked a better place to stay! The home is beautifully decorated, very roomy inside, yet still made you feel like you were in your own home. It is 30 seconds walking distance from just about everything you'll need: grocery store, church, main street stores, pubs and eateries. Not to mention the bus stop! The nice thing about this location is Birr is literally the center of Ireland. This makes it so easy to explore all of Ireland whether you have a car or are traveling by bus. We took so many day trips which was nice because at the end of the day you are able to unwind in this comfortable home. We will definitely be back to stay in this lovely home and I would highly recommend it to anyone who is looking for a trip to Ireland! Castles, Angling, Birdwatching, Light Entertainment, Gardens, Golf, Horse Riding, Mountain Climbing, Outdoor Pursuits and Touring.